- Recommended for disinfecting the inside of the mouth and eliminating mouth odor. - Easily practice oral care anywhere, and at any time. 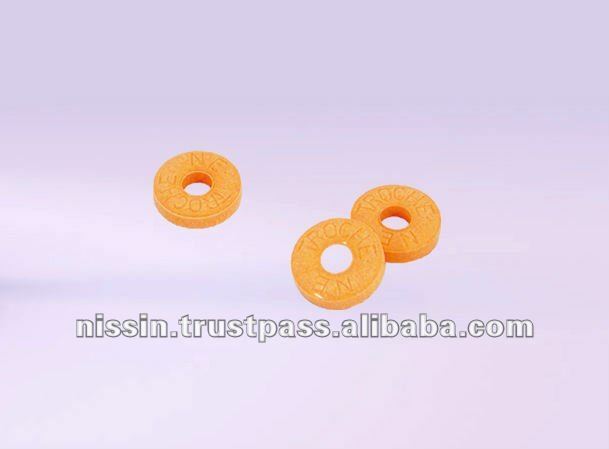 - Delicious taste recommended for stress relief, for a quick break, and to prevent sleepiness. Packaged in an easy-to-carry wrapper enabling you to take this easily anywhere and at any time. 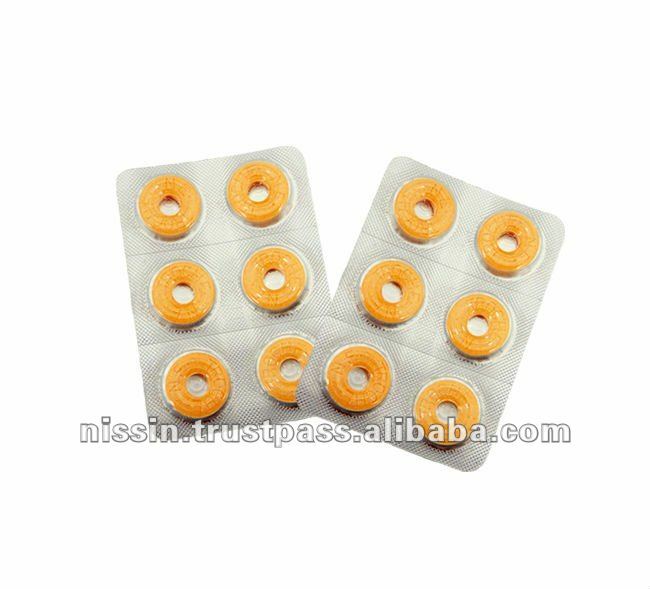 The look of this uniquely shaped (ring shaped), delicious medicine makes an impression. The delicious taste makes it easy to administer. The ring shape prevents it from getting stuck in your throat. 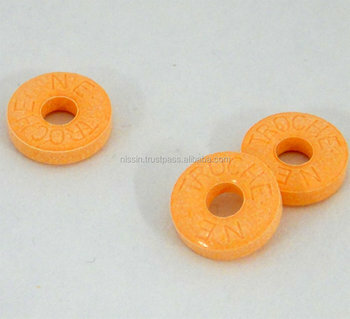 A diameter of 1.2 cm and thin orange in color. Can be taken by children five years of age and older. For: throat pain due to throat irritation, throat swelling, sore throat, hoarse voice, relief of throat irritation, oral disinfection and elimination of mouth odor. Expiry date is five years after production. Produced in the medical pharmaceutical GMP plant which practices microbe control and guarantees its products hygienically. “Our medicine is delicious”, and is the result of taking the curative properties of our medicine and pairing them with special technology to relieve bitter taste. 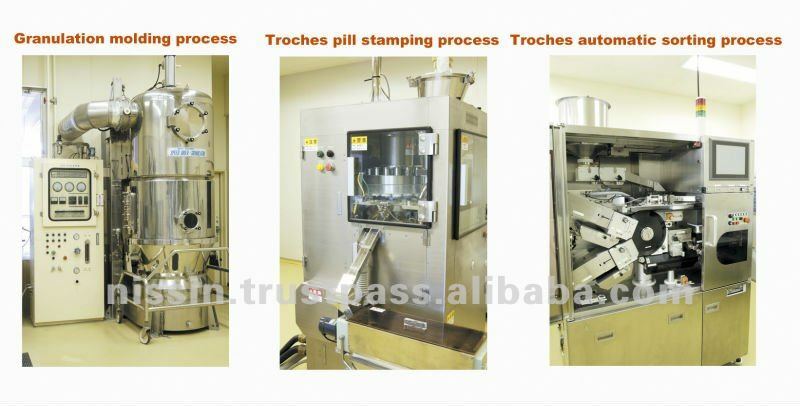 With the birth of “delicious medicine”, the production volume of Trochos is now top class throughout Japan. According to the needs of our clients, our company develops pharmaceuticals and health food products from considering the formula to final merchandizing. Along with our consistent technological work support, we help to develop new medicines by suggesting joint development of products that are compatible with the needs of the market. 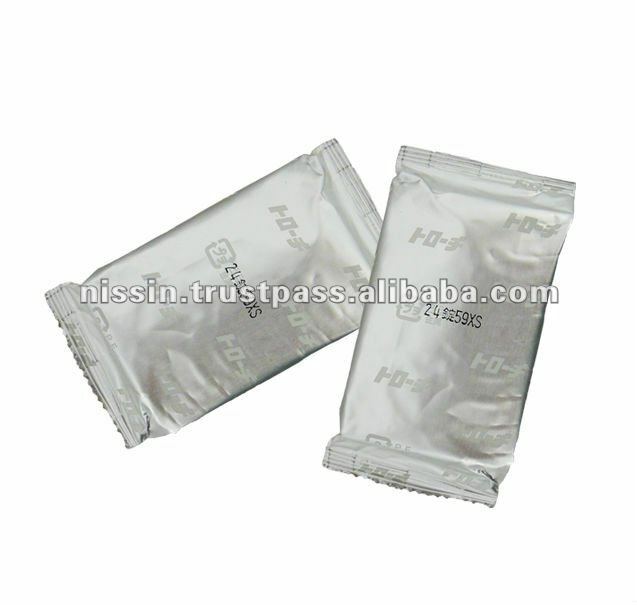 NISSIN PHARMACEUTICAL INDUSTRIES CO., LTD.